TechSledge | All Things Technology - Unending Innovations. Everything tech and science! Profiling the best of inventions and innovations one at a time - Vehicles, Mobile Devices, Robotics, Computers. Here's a beautiful piece and a stylish one from the stables of Asian auto maker Infiniti. A rather perfect combination of a sedan and a hatchback, the Q Inspiration sedan concept infuses luxury with aero design. It's scheduled to make debut at the upcoming Detroit Auto Show January 15 in the United States, however the teaser image gives us a glimpse of what to expect. 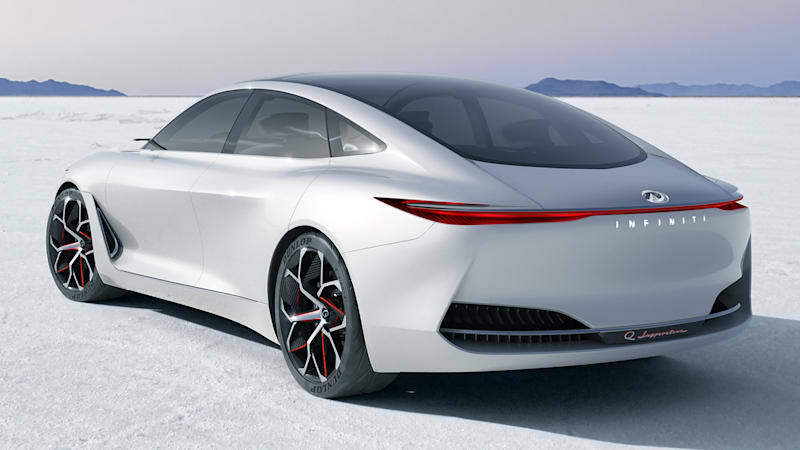 Perhaps, the Q Inspiration actually draws 'inspiration' from the Audi A7 Quattro All-back design or the Tesla Model S but this time, in a more elongated, curvy and sleeker rendering. What's more? It's interesting to speculate that the taillights are actually going to feature a full LED strip running through the back. The stylish all-glass roof panel which goes all curvy way from the back to the front sets the Q Inspiration apart from its rivals, although being a concept at the time.